England is a surprisingly compact country. We fit a lot into our little portion of the British Isles and somehow still manages to have lots of beautiful countrysides and rolling hills in between. One of the biggest highlights of our country and of the UK as a whole is that even with so many different major cities dotted about. They all manage to be different. Every city has something to offer that makes it a little special. In this quick little post let’s talk about the Midlands. It’s an area that a lot of people forget about when they’re too busy arguing about who’s better, North or South (it’s obviously North). But there’s actually quite a lot going on in that portion of the country. So, let’s talk about it. Birmingham is a huge city with a population of over a million people and along with that size, comes opportunity. It is one of those places where regardless of what you’re looking for or what you’re interested in. The city can probably cater to you. As a whole, it’s not well known for any particular food, apart from maybe Cadbury World. But there are all sorts of unusual attractions in and around the city it’s hard to ignore. For history lovers, you’ve got the Black Country Living Museum which supposedly has some of the best fish and chips in the country. For children, you’ve got the Legoland Discovery Centre. And for anything from fashion shows to toy fairs, there’s the NEC venue. Birmingham is worth visiting because you’re all but guaranteed to find something there that you want to do or even better, didn’t realise you wanted to do. As a final note, such a big city means that there are plenty of different accommodation options. Whether you’re only looking at luxury hotels or prefer to stick with small hostels. You shouldn’t have a problem finding something that meets your budget. Moving on, we have Derby. As opposed to Birmingham, Derby is an often-forgotten city. With barely a fifth of Birmingham’s population and a little less to offer in terms of variety. Saying that, what Derby does boast is a great base of operations to explore the rest of the county. There are all sorts of activities available in Derbyshire, mainly because it’s one of the most beautiful and scenic places in the British Isles. 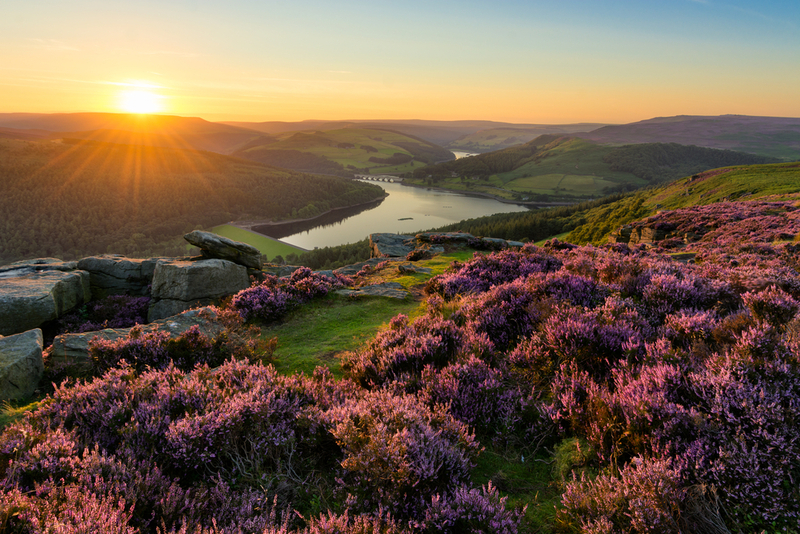 The county’s beauty is mainly because it’s home to a large part of the Peak District National Park. Which hosts gorgeous views of the tranquil rolling hills that we city dwellers tend to forget to exist in this country. So, particularly if you’re a big fan of nature activities or getting out and about. Derby is a place that’s definitely worth visiting. 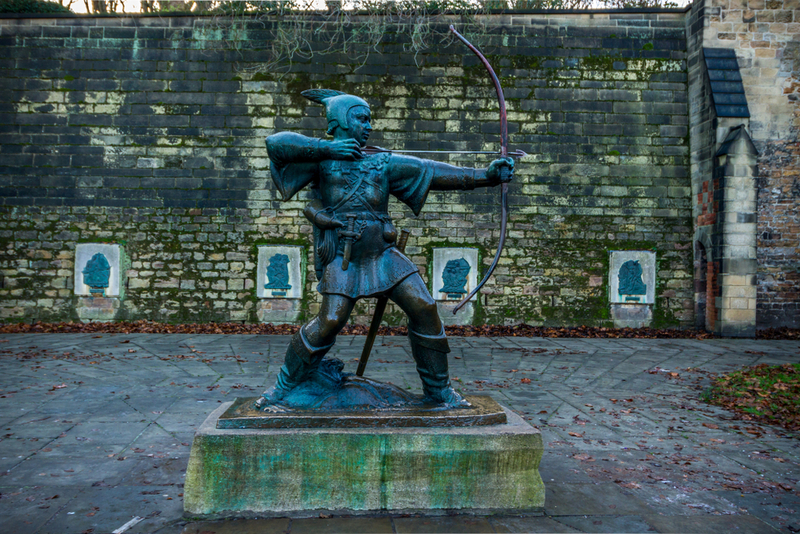 Finally, we have the home of Robin Hood, Nottingham. Nottingham is a brilliant hybrid city that offers something for everyone. As opposed to specialising in anything specific. For lovers of nature, the city has Sherwood Forest, a protected expanse of over hectares of woodland with hundreds of trees that are over 800 years old. Along with the plant life, the forest is also home to multiple endangered species. Including beetles and spiders, making it perfect for those who like to go out and search for unique animals to photograph. Saying this, not everyone wants to go outdoors when they go away. Some people just want to stay inside, socialise and relax, which Nottingham can also account for. The city is actually one of England’s board game hubs. Which means there are multiple different board game cafes, gaming venues and clubs to attend if you happen to be visiting and want to meet new people or do something a little different. Plus, on top of these options, Nottingham is a student city which means it comes complete with a very active nightlife, low prices and affordable hotels. Meaning there’s something for you to do and somewhere to stay regardless of your interests. With any luck, this guide has let you know a little bit about these cities and what they have to offer. Obviously, every city has its own speciality so it’s always worth researching what you’re interested in before you make a visit. Hope this helped though.